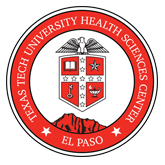 �The Texas Tech University Health Sciences Center El Paso - Paul L. Foster School of Medicine offers an exceptional opportunity for an education-oriented clinician to join our Department of Medical Education. The successful candidate will assume a major educational role working with an interdisciplinary team of faculty in implementing a highly-integrated clinician presentation-based curriculum while serving as college master in one of the school's four academic colleges. Additional research and service activities will be based on individual interests, credentials and experience.